This children’s book is great. I wish most of the children’s book apps were as educational and versatile as this one. The book will read the story when you press play, the pictures are interactive and there is also a coloring book section where children can paint the pages. My girl’s are twins and could easily relate to the story line. The book is very vivid and colorful and encourages children to think about what things they can do with others and what things are better achieved a lone. This is two different educational apps, one for addition and one for subtraction. I think this is a great tool to teach your child in conjunction with non-electronic methods. 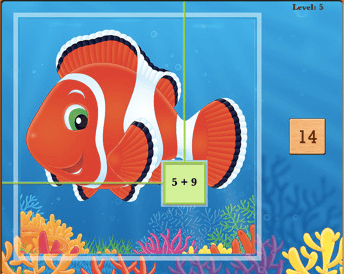 Your children should already know how to add and subtract a little to be successful at this game, but is a fun game to reinforce addition and subtraction lessons that are being taught. We are definitely living in the age of electronics, it is an age where technology reigns. In many ways, adults may feel like their children just “get it” while at other times we have to research and try out our gadgets for awhile before we can really understand the new wonders and efficiency that our new toys provide us. We may also get tired of shelling out hundreds of dollars because it is hard to find discounts on electronics when the next best model is released almost every 6 months. For me, I can’t justify paying for apps when I paid almost half a grand for the gadget, so I am very pleased that lite and free versions exist and as I come across apps that I feel are very valuable I will share them with my readers. *Please feel free to share your FREE or low cost apps in the comment section.